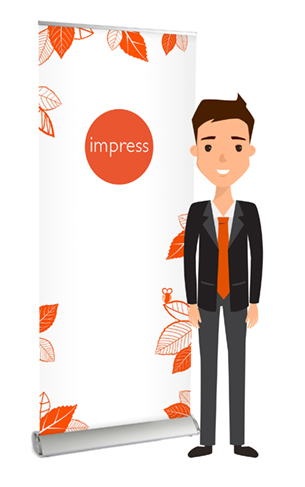 If it’s exhibition stands, display stands or pop up banners you need, Impress can design and print them all in house. Our large format printing includes; posters, banners, conference stands, display material and anything on a wide format that lights your fire. We can design your graphic panels in house and print them instantly, providing you with quick turnaround times for important events. If you have a marketing campaign, a product to promote or an event to showcase, we have indoor and outdoor sign and display options available. Please chat to us about your next project, we would be delighted to help. Ask us about our eco-friendly display board – plastic free and recyclable! 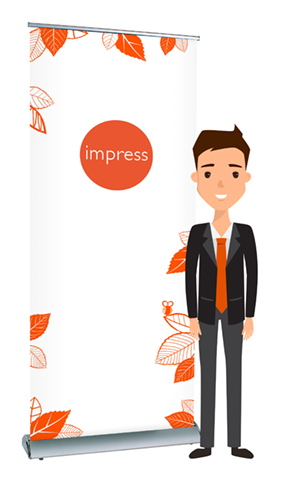 Our range of roller banner stands offer easy functionality and style all at an affordable budget. The roller technology allows easy adaptable graphic tension, plus solid reliability and durability. We offer a wide and versatile range of heights, widths, single or double-sided systems or telescopic or fixed-height bungeed poles, however our most popular and economical options are shown here. 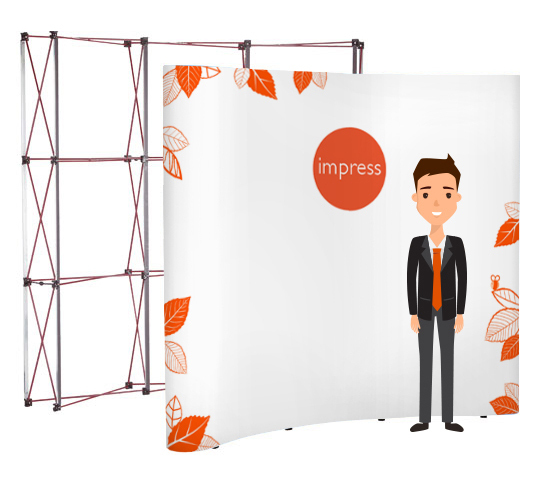 Pop up systems are ideal for exhibitions and conferences. 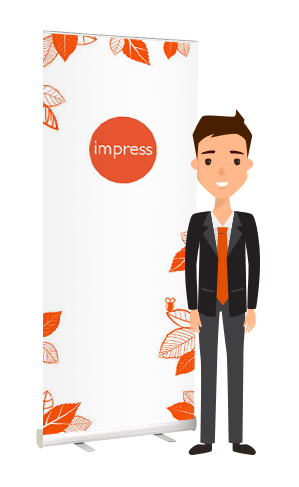 They are professional, portable and presentable. 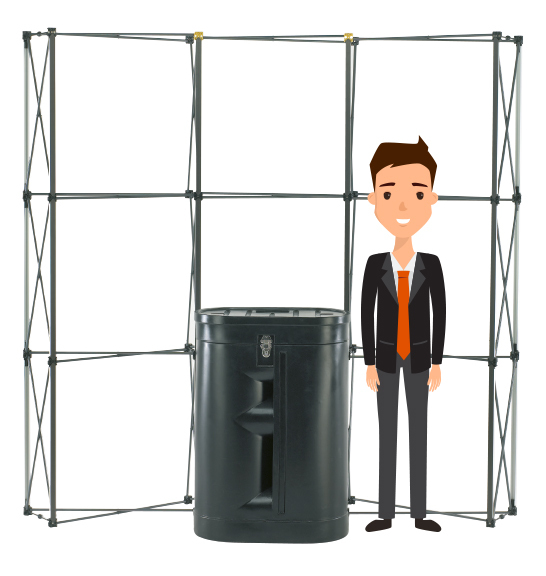 Our pop-up display frames are all constructed from strong, yet lightweight aluminum. 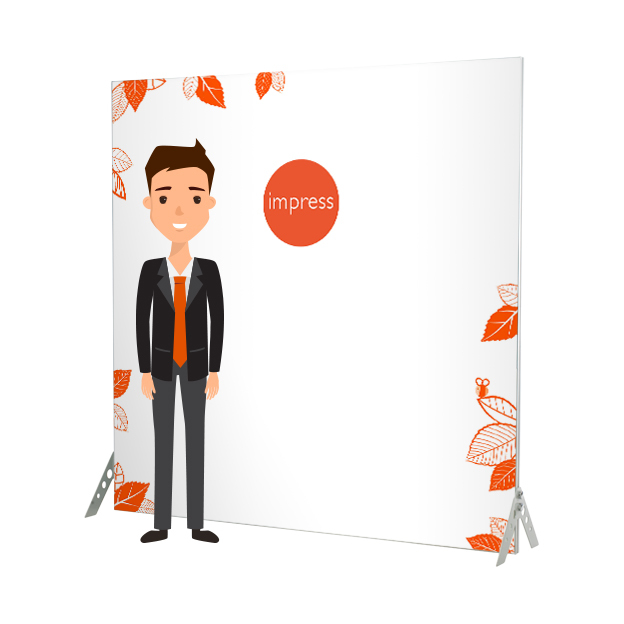 Panels are secured by a fully magnetic locking mechanism and are easily mounted to create a fast and effective wall for display. 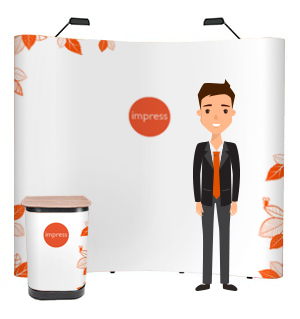 Impact Pop-up Curved bundle with frame, case and lights has everything you need for a quick and easy display solution.